Last but not least, here’s a little something for the apartment dwellers. A Santa Moncia apartment got recently done greenly courtesy of Lori Dennis, ASID, LEED AP of loridennis.com, ogle the pretty pictures. 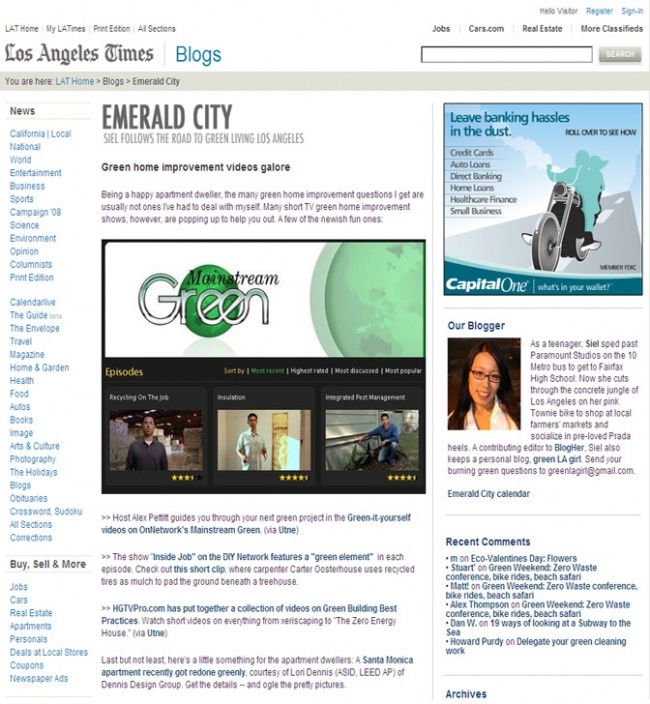 Green home improvement and condo development by interior designer Lori Dennis, our partner and construction work done on a home by Santa Monica’s best general contractor are highlighted in the article.